It is clear to all who have functioning cerebral cortexes what the problem is. Jihadis are on the march. Law enforcement and military personnel are being openly targeted. They say it is a command from Allah to wage jihad in order to establish an Islamic State (Caliphate) under Sharia (Islamic Law). 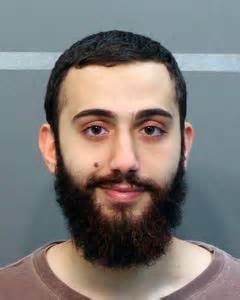 Yesterday a 24 year old Muslim male named Muhammad Youssef Abdulazeez killed four Marines and injured several others in a shooting at a reserve center in Chattanooga, Tennessee. We see the playbook open again. 1. The jihadi makes clear why he is doing what he is doing. It’s Islamic jihad stupid. 2. The news tells us they cannot understand why he would do this because he is a recent college graduate with a “well-paying job” as an electrical engineer. 5. DHS Response: Enhance security at federal facilities. 6. Hamas, doing business as “CAIR” tells us they condemn this attack and the media dutifully regurgitate the Hamas talking points. 7. The President asks for prayers for the family, but doesn’t follow it up with going after the root of the problem, and continues to openly support the Muslim Brotherhood/Hamas. 8. The problem – the massive Islamic network in the U.S. supporting, financing, training, recruiting, and teaching jihad and the destruction of anything but nations under sharia – is left untouched. 9. No one mentions that core Islamic doctrine mandates jihad until the world is under Islamic rule (even though it is taught to first grade Islamic students across the globe). 10. 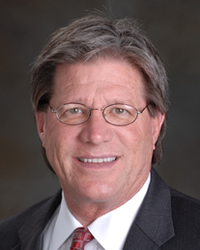 US Attorney Bill Killian in Tennessee, who has a long history of snuggling up to Hamas and MB organizations while condemning those who speak truth about this threat, won’t be questioned, indicted, or in anyway made to answer for his role in failing to go after the jihadis in his area under his watch. (Same guy who condemned UTT training and then the week after we left TN had a joint FBI/DHS training program with the local MB organizations). 11. America is still in grave danger from the Islamic Movement here. No change (but expect more sensitivity training so we don’t offend the Muslims by reporting this “incident”). But John, if we connect this attacker to Islamic Doctrine and have to recognize it as the primary threat doctrine, this means I have been wrong about my “Muslim Community Advisor” all these years and have to admit he’s been playing me for a fool. This makes me look like an idiot! Much easier to criticize you as an “Islamophobe” and seek behavioral reasons for his actions, right? (And maybe I will make it to retirement and the golf links in peace: I just don’t think about all the dead troopers I’m responsible for). *Thanks JG for leading the charge. Their momentum is white hot and America is strangling itself with political correctness. I suggest people copy this list, always with attribution to Mr. Guandolo, and ask your local, state and federal elected representatives why this is still the status quo. Challenge them on their ignorance, fear or complicity in these inexcusable failures of intelligence. The elite fictions will not protect us, they will not stem the rising tide of jihad, nor earn us any respect across the globe. If weakness is provocative, abject incoherence must invite our demise as the nation we have know. Everyone bears responsibility for our ignorance, inaction and utter unpreparedness. The world is at war–Islam vs Not Islam–and we had better recognize it. OPINION – Bill Killian et al are consciously abetting treason on behalf of the sociopathic Shia-Kenyan impostor who appointed them, who himself, in concert with a widespread federally embedded gang of Muslim Brotherhood operatives et al, works feverishly each day to destroy the Constitution, thus the country, as an obvious prelude to imposing Sharia savagery on the American people. And the single individual with the courage, initiative and knowhow who I believe could put them all in the dock is for better-or-worse unavailable. Hello John, I had to read the last line of your blog over a few times due to disbelief. Turning to the MB for advice for “understanding” of jihad attacks of course is insanity, but then so was the election in my mind. I have been hearing more assessments referring to a Islamic movement in the news and many people are now aware or have concluded that there is a muslim leader and openly speak about it. This morning I caught Federicka from CNN interview Aaron David Miller, about the nuclear Iran agreement,I didn’t get all of it but I heard Aaron say, “critics will say,however, that in essence chanting “Death to America, Death to Israel”, is not the kind of rhetoric that is likely to facilitate or create more space for the Mullahs in Washington.” But they have been expressing those threats for years. This is no news for you I know, but the very least many people I think heard that statement. I see so clearly the mb’s influence, thanks to your information, Tennessee U.S. Attorney decision to avoid some important facts will lead to nothing good as far as protecting the U.S. Would he be in his position long if he did meet with UTT? After the attacks in his state, I hope he reconsiders. To hear that they had no protection to fight back makes it even worse. I don’t know what influenced his decision, but I know money flows from Princes’s hands, for the influence they seek and it crosses my mind and in my opinion no one in government state or Federal should receive any money from any Islamic country, but it may be a reality. Thank you for your honor, courage, and commitment to Understanding The Threat. As a former Navy line-officer and honorably discharged LT, I am deeply concerned with our real-time lack of intelligence across the board. Strategic, operational, and tactical. The Global Islamic Movement/Muslim Brotherhood is clearly winning, and, once again, we MUST cut them off at the hot-gates. Please, tell me how I can stand with you with respect and honor to defend western civilization, and, above all, the U.S. Constitution.